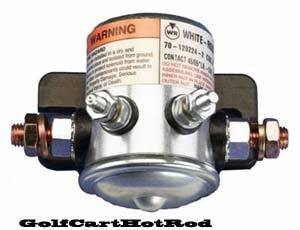 If your golf cart is running slow it may be time for some new batteries. To check the age of your Trojan Batteries and year made look for these codes on the battery posts. 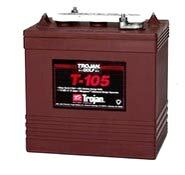 The Positive Terminal shows the manufacturing date of the Trojan battery. This stamped code indicates the actual date when mechanical assembly of the battery was completed. No electrolyte has yet been added to the battery and first charging has not taken place yet. The letter stands for the month and will be from A to L (A=January, B=February, C=March, Ect.). The number stands for the date. The negative Terminal shows you the shipping date. This stamped code indicates the month and year when the battery was shipped out from the factory. The letter stands for the month. The number stands for last digit of the year. As an example: A battery with “B15” stamped on the positive terminal and “C3” on the negative. “B15” means that the battery was assembled, without electrolyte, on February 15th. “C3” means that it was shipped out from the factory around March of 2003. Trojan batteries give no mention of the decade, so it’s your best guess if it is a two-year-old battery or a 12-year-old battery.